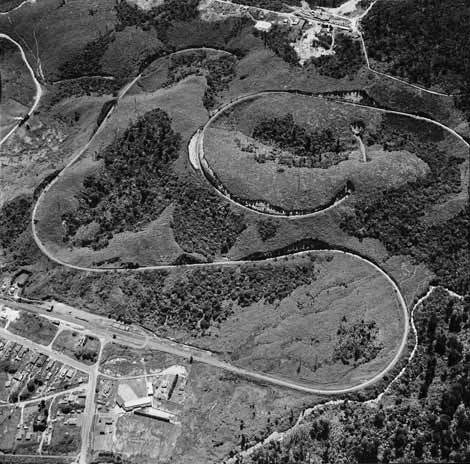 The only way of really appreciating the engineering excellence and sinuous beauty of the Raurimu spiral is to see it from the air. The spiral was devised by Department of Public Works engineer Robert Holmes in 1898. His design was a clever solution to a major problem – the land between between Raurimu and National Park dropped significantly and was too steep for a train to travel along directly. Holmes's spiral increased the distance between these two locations to by employing sweeping curves and tunnels, which allowed the railway track to follow a manageable incline. It was constructed between 1905 and 1908. The Historic Places Trust registered the spiral as a category one historic place in 2005.